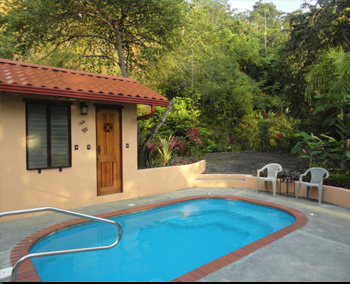 Secluded Casita in the midst of busy Jacó with small private pool. 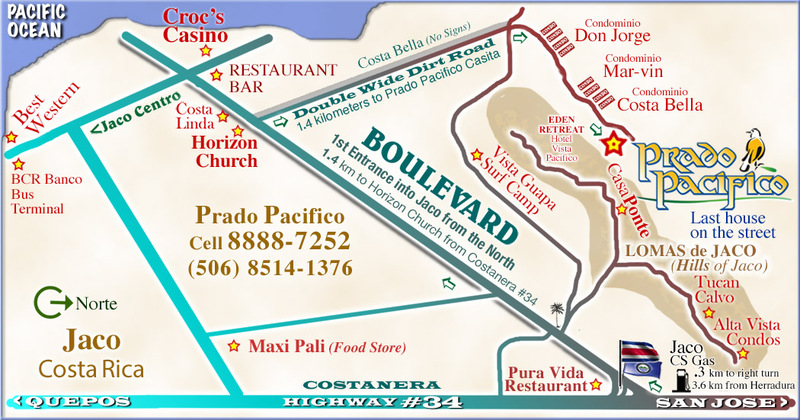 Five minutes by car to the beach or downtown. 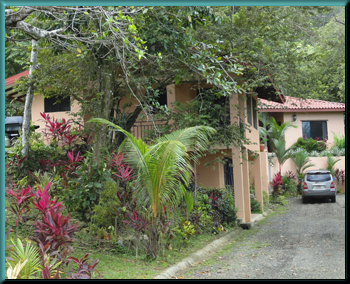 Set in a secluded valley just 2 km from the beach this one bedroom home with private pool has a beautiful valley and mountain view. 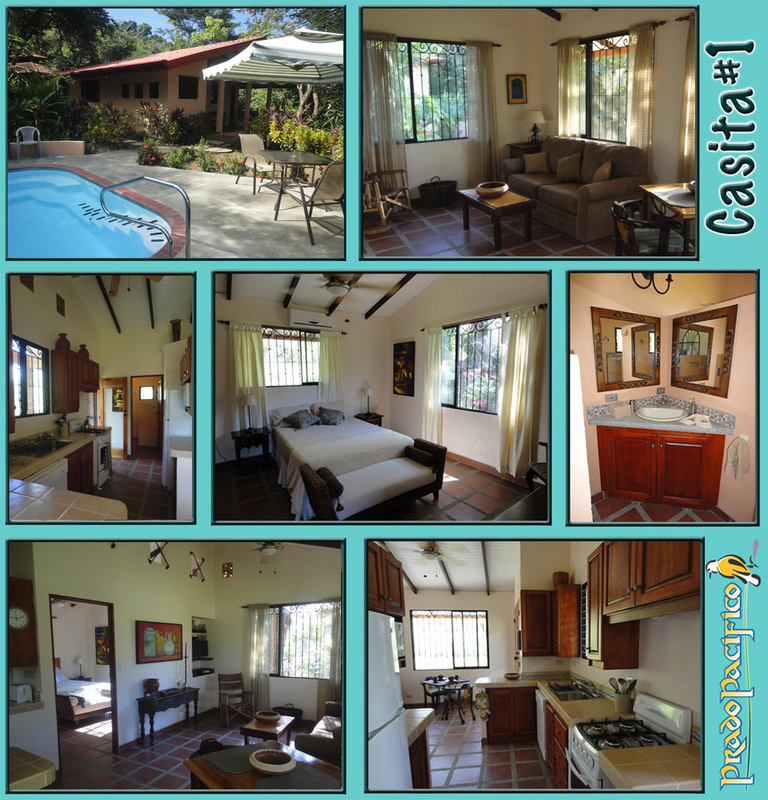 Our Casita has a fully equipped kitchen with dishwasher, large bedroom (with queen bed), sofa bed, AC, ceiling fans, hot water and breakfast terrace. 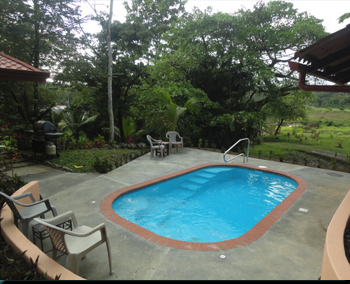 This property is only 5 minutes by car (2.5 km) to the the center of Jacó and is ideal for longer term rentals. The living/dining area in the house leads to a covered terrace with a table for outdoor dining. 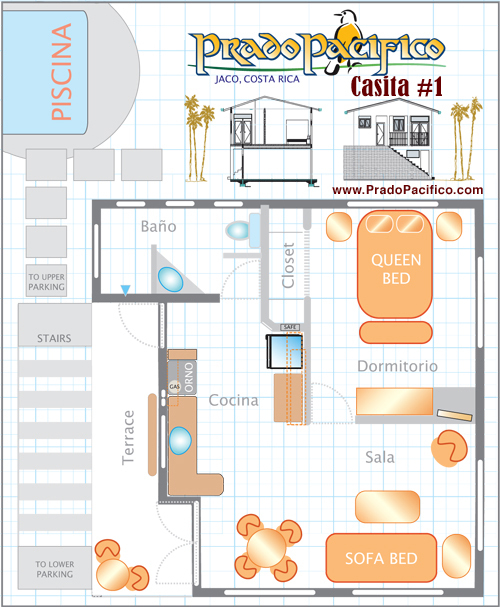 There is a wall safe, ceiling fans throughout and a double sofa bed in the living room (sleeps 4 max). The bedroom is air-conditioned. 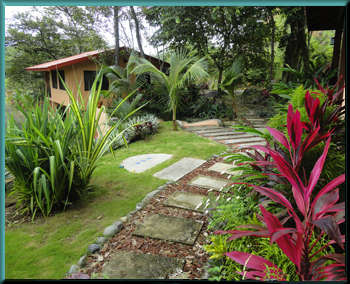 The casita is tastefully furnished and features local art and pottery. Linens are of the highest quality and all windows and doors have screens. 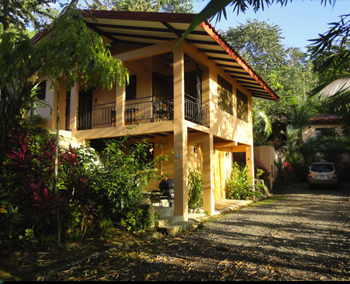 The Casita is fully self-contained with most things guests might need. The kitchen if fully outfitted with stove, refrigerator, microwave, dishwasher, pots & pans, all tableware, toaster, blender, coffee grinder and more. A cleaning charge of $30 applies to all bookings. In addition, for longer stays, cleaning and a change of linens is scheduled once per week at an additional cost of $30 per week. 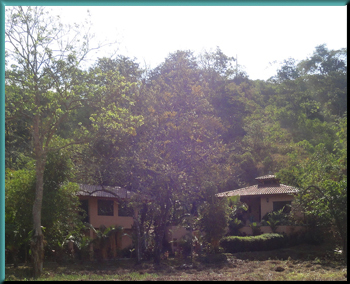 We offer discounts for longer rentals. Please ask us about our weekly and monthly rates.